The other day I wanted to start playing with Chef, as it’s a tool our company is about to use a lot, and it’s one area I’m quite behind the curve on. Unfortunately the lab was maxed out for resources, so I decided to turn to vCloud Air to rapidly provision an environment. I’ve not really done much with my vCloud Air On-Demand subscription since using it as an endpoint for vRealize Automation, so it felt good to get back into it. Unfortunately due to other projects I didn’t have a lot of time to mess about with the web UI, so turned to PowerCLI to get me up and running fast. A lot of vCloud Air commands were introduced in PowerCLI 6.0 Release 2 (at the time of writing release 3 is available), so you need to update to that to realise the full benefits. 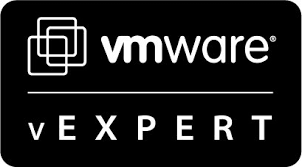 Check out Alan Renouf’s blog article at http://www.virtu-al.net/2015/09/17/powercli-6-0-r2-the-most-advanced-version-vmware-has-ever-made for more information. For the proof-of-concept I ideally want three boxes – the compliance server and two test boxes (one Windows and one Linux). I have already built a Windows VM and assigned one of my TechNet licences, and then exported it to OVF. I could use ovftool to import it, but PowerCLI has an easier way of achieving the same thing. The two remaining Linux boxes can be provisioned on vCloud Air directly. $regionstar = $region + "*"
$ovfName = "Windows Server 2012 R2"
Depending on how fast your connection is, that could take a while. A word of warning on the above. If it errors out, check you don’t have a space in your OrgDC name. In a follow-up post I will show how to connect to these machines and install Chef Compliance 0.9.6 in preparation for remediating the two VMs.